Can you check the running processes under Task Manager? If there are multiple instances of the AttendedConsole.exe running, stop all those processes and then relaunch the app. I think i figured out what the problem is. If you have different passwords, it wont work because the UC Client downloads the Contact list using the web password. There is no other version of AttendedConsole.exe running at the same time or before I start the UC client. I changed the passwords to match and that didn't change anything. Wouldn't making the passwords the same make the SIP password less secure being both the password for the web interface and the sip client? There shouldn't be any other software prerequisites. I´ve tested the UC client and has one problem, the contacts that is added to the contact list disapear if I close the client and start it again after installing it. I figured it out, the domain has to be localhost, once I changed the settings to that everything displayed perfectly. How long until you add Agent Groups? We have a client that is in desperate need since the old web browser console view isn't available any more. It has to be actually the primary name of the domain. In the next versions of the PBX I believe the system is less picky on such names. But you should be able to see the calls in the browser? The PBX uses now AJAX technology to give you a live view on the calls in the ACD. 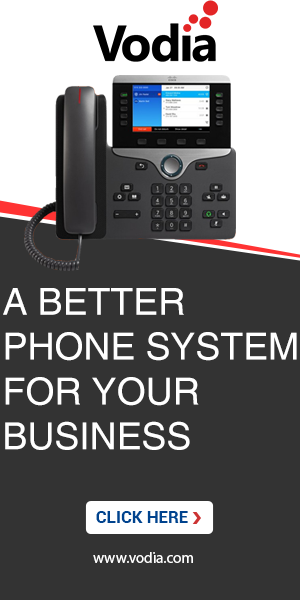 Our client wants a much more simplistic way to view calls. Their users are "technologically limited" and giving them access to all of their user settings is not a good idea. This would be a workaround. You can take anything dangerous from the templates for the user web interface. Are there any plans to add the Agent Queues? This one client of ours has five snom one Plus PBXs and is not really interested in workarounds. They point to other PBXs, even 3CX that have client/soft phones standard. Sure. Once all the functionality is there for the AC (and installs on all kinds of Windows OS), we can start stripping it down e.g. into a call center agent edition. The last build for the AC that I saw was quite promising; you can see the status of extensions and also ACD. Not sure how far we are with hte display of the queue details, but that step is not that difficult any more. Excellent. Essentially they have office managers for each department, with each department having at least one agent queue. They want the manager to be able to watch their respective queue(s) and be able to keep track of their call flow in real time from their desktop. Any idea of a timeline for that additional functionality? No pressure. Just wondering. Is there a new beta version beyond Version 1.0.0.81 available to try? I am sure several of us would be interested to try some of the promising features that were mentioned earlier. Is this just for Windows 7 and 8; will it also run on XP and Vista ? Note: Only compatible with snomONE v5.0.3 or higher. Wouldn't that make all the releases not compatible with 4.5 since it auto updates? The problem is that we also had to do some magic on the PBX side to make it possible to see the status of ACD and conference rooms. Also the old AC got easily blacklisted by the PBX which needed some more changes. We just upgraded to 5, just to have the UC Client function! -Mouse Scroll not working over the contact, you must hold mouse pointer over the scroll bars to work. -When handset(821, 300, 320, 710) is unregistered or unplugged the UC Client still shows contact is online. -There is no POPup on screen when a call comes in. We really need the UC Client to operate at 100%, please can Snom or Vodia Networks please help?